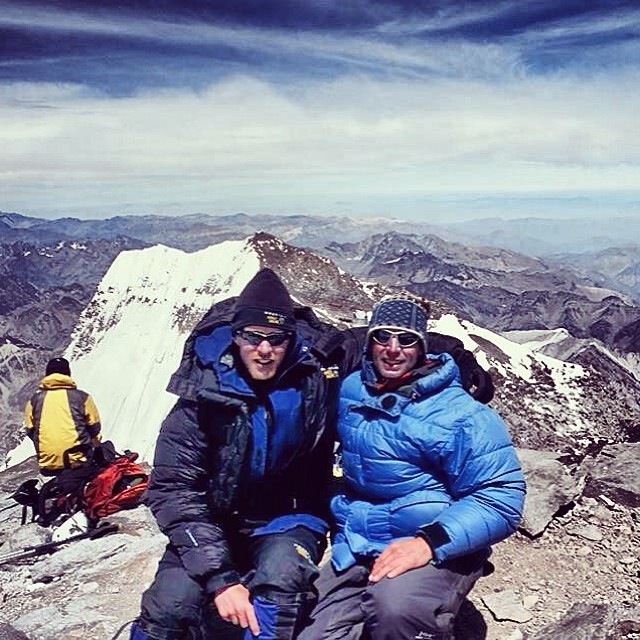 Cerra Aconcagua – Nearly 30 Expeditions Since 1984! When you join an expedition to a mountain in South America, you’ll find not only adventure in the climb, but in the colorful markets, villages and people as well. Even the names are exotic! Aconcuagua in Argentina is the highest peak in the Western Hemisphere. Join us for any of our South American climbs, from Aconcaugua to Illimani and Huayna Potosi, and you’ll have the trip of a lifetime. Join Go Trek for your next adventure! Includes: All group equipment such as ropes, tents, stoves, shovels, breakfasts and dinners on the mountain, land transportation except taxis, hotels, and permits and guide fees. Does Not Include: Airfares, insurance, extra hotel nights, meals while not on the mountain, lunches, tips and items of a personal nature. The majestic Cerro Aconcagua or The Sentinel of Stone in Argentina is the highest peak in the Western Hemisphere. Go Trek has one of the best success rates on Aconcagua and climbs the mountain “expedition style,” which allows team members the time they need to acclimatize. One of the unique features of our guided climb is that we ascend the Vacas and Relinchos Valleys, a variation that allows you to avoid the crowds and have a much more enjoyable experience. Then after we reach the summit, we traverse the mountain and descend via the normal route. The Go Trek Aconcagua expedition is organized by Craig Van Hoy who has personally lead ten climbs to Aconcagua since 1984. A final detailed itinerary will be e-mailed to enrolled participants 30 days prior to departure on international trips and 14 days prior to departure on domestic trips. Discover the vibrant city of Mendoza. A walking tour takes you to the “Plaza de la Independencia” and the popular Sarmiento walkway, one of the city’s main arteries with its centric cafes and open air restaurants. We exit the trip via Santiago and with any extras days you can head to the beach for a day or two, or return home early. Previous high altitude experience is not required for this climb, but would be helpful. A basic knowledge of the rest step, pressure breathing and basic ice axe arrest is required. Having cold weather camping skills would be a benefit and you must be in excellent physical condition. The more time you spend training for this climb, the better your chances are of staying healthy at high altitude and being successful on summit day. The best workout is walking up hill or up steps wearing a backpack. The ascent of Aconcagua is non-technical however the high altitude and remote location make this expedition a serious undertaking. We will use mules on our three day approach to base camp at 13,400 feet. Climbing “expedition style” allows us to establish three higher camps before making our summit attempt, followed by a descent via the normal route.